Rent Baby Grand Ballroom at Café La Cave | Corporate Events | Wedding Locations, Event Spaces and Party Venues. Your event, whether for 50 or 300, for business or pleasure, will have all the pomp and circumstance, all the lavish spectacle of bygone gentility. Here is where ordinary people come to feel extraordinary, and the famous come to feel like stars. One of the most popular and celebrated wedding locations in all of Chicagoland, Cafe La Cave truly provides a beautiful and sophisticated setting for your once-in-a-lifetime event. With a stylistic decor and setting of unmatched beauty, Cafe La Cave is the ideal place for your enchanted wedding reception and intimate dream ceremony. With the unique attention to detail Cafe La Cave can customize your wedding in many different ways. Come experience our exquisite hospitality. We promise to make your wedding unforgettable. Communion, Baptism, Showers, Birthday, Wedding, Bar mitzvah & Bat mitzvah, Cotillion and Retirement. Today, La Cave banquets continues the tradition of fabulous food and detailed professional service. La Cave Banquets is the perfect choice! 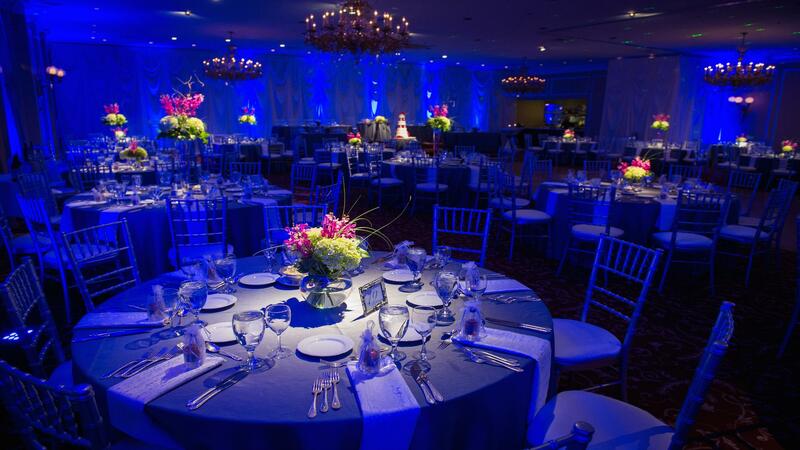 We believe in the highest level of hospitality and dazzling memorable events. Let us book any of your corporate events today. With over 8,500 square feet of space, La Cave Banquets is the ideal venue to hold your corporate event. With the ability to partition off our rooms we can easily accommodate any sized group. We are happy to provide breakfast, lunch or dinner for your event or simply rent the space to conduct your business. Conveniently located within minutes from Chicago O’hare airport and off all the major highways, we have ample parking and minutes from many local hotels.